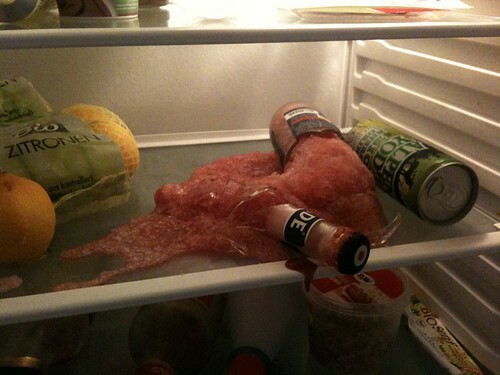 And You Thought Your Office Refrigerator Was Bad News? 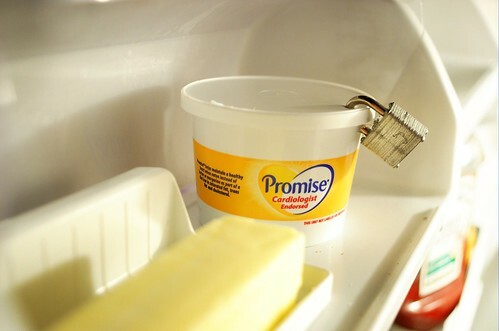 Imagine seeing this early in the morning when, bleary-eyed, you open the fridge to grab some milk for your awful office coffee? 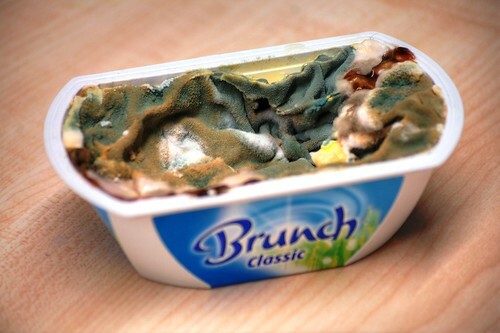 Everyone has had the experience: You go to put your lunch in the office refrigerator and gasp as you find something you’d rather not have seen. 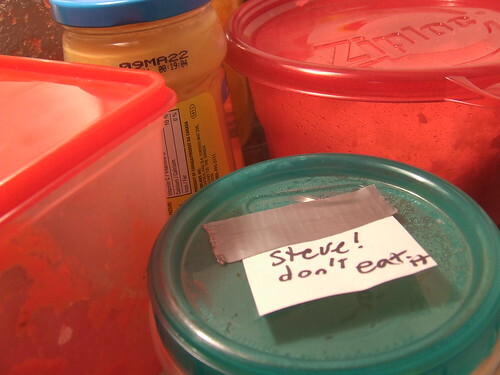 Usually, it’s 10-day-old leftovers with fur growing on them that an office mate thoughtlessly left there. Other times, it’s an angry note from the office grouch about someone stealing sips of orange juice. An impressive collection of these photos — mainly from Flickr — has been assembled by Moncef Belyamani at officefridges.com. Not for the weak-stomached. Thanks to Gretchen Van Dyk for the link. Follow Fork in the Road on Twitter @ForkintheRoadVV.